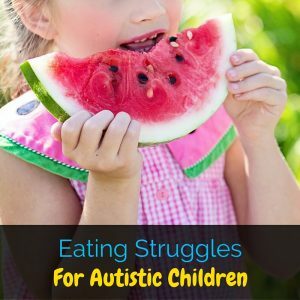 We’ve already covered the eating struggles that many autistic children face, but there is a lot more to the sensory struggles that many autistic people face every day. You might think that autism and sensory processing disorder, or SPD, are one in the same, but they’re actually very different. Many autistic people also have sensory processing disorder, but not every person with sensory processing disorder is autistic. Have I confused you yet? Pinky promise, it isn’t that complicated. 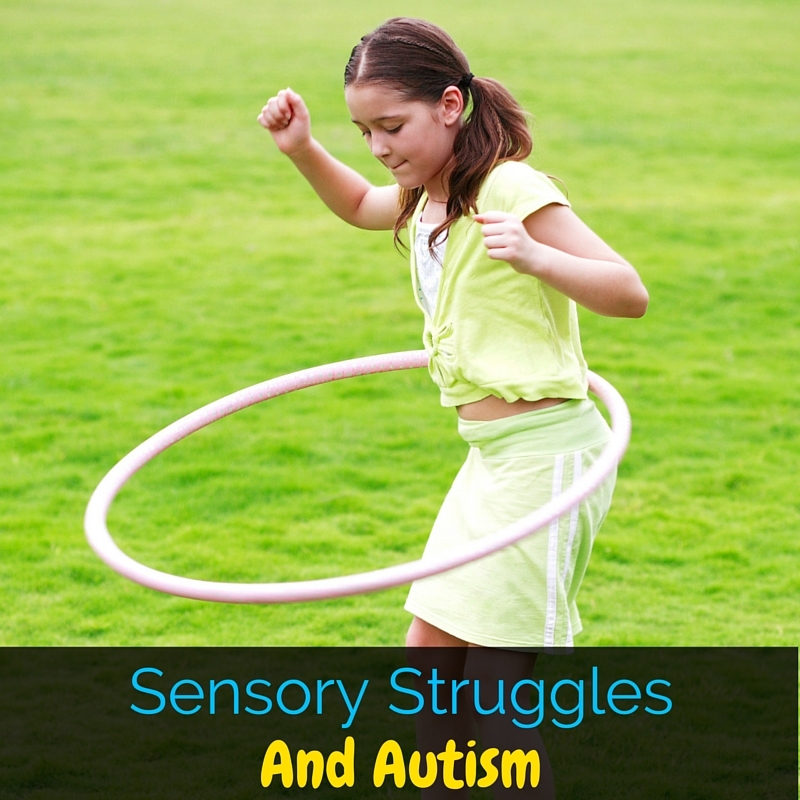 In this post I’m going to cover some sensory basics for autistic people. This post is a part of the Autism A-Z Series for Autism Acceptance Month, and you can check out the rest of the posts in the series here. Today is also the very last day for the Fundanoodle Fundraiser for the Autistic Self Advocacy Network, so you can get your orders in today here! Now back to sensory struggles! To begin to understand sensory struggles, first people need to understand the basics of sensory processing. At it’s core, sensory processing is the way that our brain processes sensory information. Sensory processing applies to everyone, not just those with sensory processing disorder or autism. Every single person processes sensory input, we just do it in different ways. Many people with sensory processing disorder and autism either overprocess or underprocess sensory information, which is what we’ll discuss in the sections below. Seeing the world around us is a beautiful thing, but it can become extremely overwhelming. It can be really difficult to understand how sights that we see everyday can become overwhelming for autistic children or those with sensory processing disorder, and this is the easiest way I can explain it. You know when you’re out on a sunny day and you forgot sunglasses? You spend the entire day squinting because the light is too bright, and then you get a headache from squinting, and it drives you nuts all day? It’s like that. All the time, with normal lights and things to look at. You know at the end of the day when your kids have been hanging on you and nursing and snuggling and you are just touched out? Or you know when you’re scared and you just want someone to hug you or hold your hand? That’s part of your sensory needs with touch. Autistic kids can often avoid physical touch, or certain textures. To some a tag on their clothes feels like needles digging into their skin. On the flip side, some autistic people seek certain textures and deep pressure. 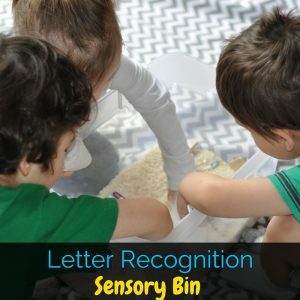 This is a part of why sensory bins are so popular! Like all of the senses, sensory struggles with sound go either way. One person might hear every sound louder than it is, while another finds music to be the most calming thing in the world. Some autistic people use noise cancelling headphones when in areas that overwhelm them, while others will make loud sounds in order to fulfill their sensory needs. Have you ever had a headache that makes every little noise sound 100x louder? Imagine that all the time. This is one of the biggest sensory struggles that many autistic people face, but it tends to combine with touch for the textures. If an autistic person doesn’t like the taste of something, it tends to go beyond preference. It makes them physically ill if they’re forced to eat it, and it can cause panic attacks or more. Okay, everyone knows “that guy” who seems to have misplaced his soap for the last decade. You know how if you spend too long with them you start feeling nauseas and you can’t think of anything else? It’s like that. Every tiny bit of perfume, every overcooked food, every single smell. The vestibular sense is the sense of movement. Now, I know, it probably wasn’t covered when you learned your five senses in preschool, but it’s really important. When you spin and get dizzy, that’s vestibular input. Like with all senses, we have avoiders and seekers. Avoiders will panic when they are in an activity when they need to balance. Seekers tend to be those kids who are always moving. They may spin and hang upside down to get that input. The proprioceptive sense is the sense of knowing your own body. It includes knowing where your body is in space. Many kids will fall out of their chairs because they aren’t sure where their body ends and their chair begins. 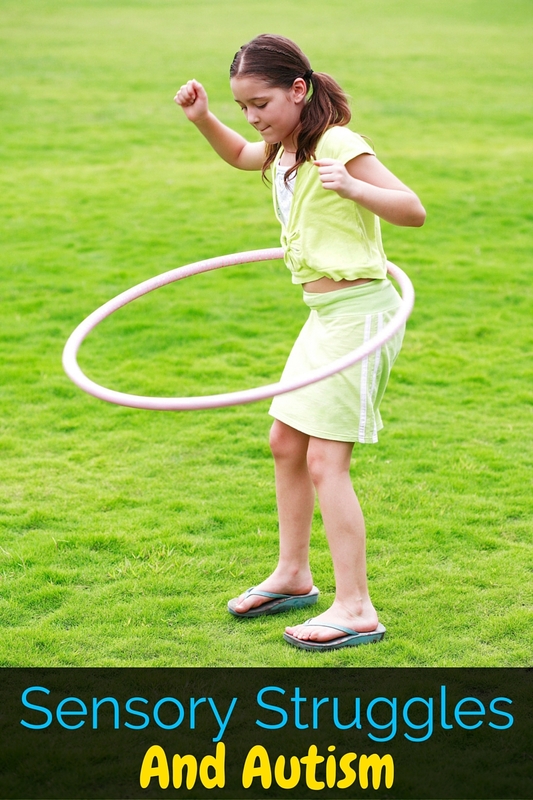 You can help give proprioceptive input with “heavy work” or activities that really work the muscles. You know after a long hard workout how you can really feel your muscles? That helps autistic people to know where they are within a space. I know that some of these senses seem complicated, but I promise that it gets easier once you understand. Sensory struggles and sensory overwhelm are so common in autistic people, and people in general, that we owe it to try to understand. 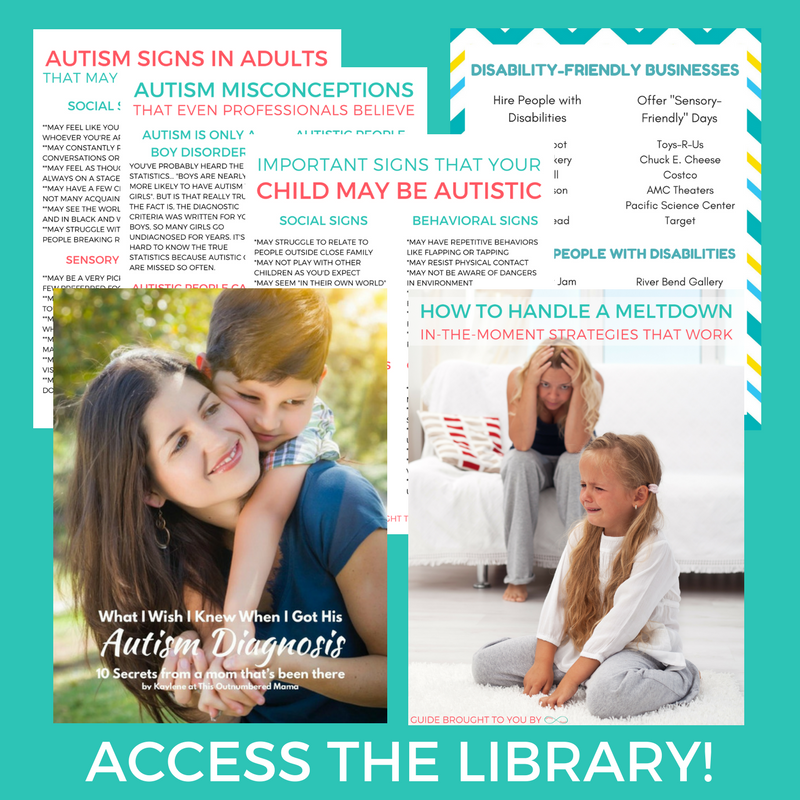 Don’t forget to check out the rest of the posts in the Autism A-Z Series for Autism Acceptance Month and get your orders in to the Fundanoodle Fundraiser! Today is the last day for orders! I am a vestibular, visual, auditory, and emotional seeker. I am a taste avoider and can go either way with smells. I love perfume, but I hate garlic. FlutistPride recently posted…Why Was Passing for Normal Important? That’s so interesting! I tend to be an avoider. I very easily get overwhelmed, and I had a complete meltdown at Pike Place Market last weekend because there were so many sounds, smells, and people touching me.